When exactly you came in my life, I don’t remember. All I do remember is how slowly, eventually I started admiring you. Every time I saw you, you were in those same clothes inside that same box. I started to admire you as I began to understand your work. There were many who admired you back then, and there are many now. People talked about you fondly. They had respect for your job and your excellence at your work. You did falter at times, but I always believed that it was just not a good day. I captured every glimpse, kept a part of every appearance in my small note book. Your silent face and subtle smile, had captured my heart. When I grew a bit more independent, I attempted to get into the box to have a closer look. But you were in center of the box and I realized that I could probably not be inside the box. One morning I read that you were getting married. My heart shrunk. But what could I do, I couldn’t have stopped you, I was a child and you were out of my reach. My best moment came when I met you. Just for a moment, when you appeared amongst all the lights and camera and shook my hand. An autograph from you made me day (actually week). Slowly, eventually I understood. Probably that’s about growing up. You reduced your responsibilities, resulting in lesser appearances. A few days back you were in discussion once again. They said that it was your last appearance. The discussed your clothes, that blue jersey of Indian Cricket team. They call you “The wall” and they cheer for you “Dravid”. All I want to tell you that we will miss your appearance in that box, the so called “idiot box”. Many of us really had a big time crush on you. This post is written as a part of Letter unsent at write tribe. I am participating in Ultimate Blog Challenge and writing a story as part of daily post. Having written the post for the day, I was more or less done for the day. However, then I came across the prompt from Indibloggeshwaris and couldn’t resist. Rightly said, friends are the family we choose. And my family that I have chosen to live with for past two years is my roommate. There are so many moments that I can think of when I think of this girl. One of the most hilarious ones is when a friend hopelessly tries to pit us against someone as a joke and we rather bash him up. Friends, whom we live with, become more like our sisters and our family. As much as we do appreciate our space, we miss them when they aren’t around. Good music, good food, good wine and good times. What else does one need when you have a good friend as a roommate? Well, my post on friends won’t be complete without posting anything for my two lovely ladies who are now happily married and are busy with their lives. No matter how far our childhood friends maybe, there is never a distance between hearts. No matter how seldom we speak, there is never any communication missed. These are the girls whom I have grown up with and against all evens and odds our friendship has lasted. They know my secrets, my embarrassing tales. We have been with each other through crushes, love, breakups and patch ups. We have driven each other crazy and cried over silly fights. There are countless memories that we together smile at. Friends who are there forever. I look around and smile. I love you my blog. Above poem is based on prompt - Every once in a while, and I don't know why I linked it up to my blog. Linking it to UBC Day 6. For those, who have been following my story, sorry - it will come up tomorrow. A new Ultimate Blogging Challenge begins today. 31 days, 31 post, one post each day… it took me quite a self-motivation to sign up for it. I remembered July and the nightmare of searching through topics, words and many times time and battery in my phone to do so. However, a round of conversation with my blogger friend Richa and I managed to sign up. For last couple of days of September, I have been thinking about writing little achievements and goals. For starters, somewhere in August I challenged myself to write 30 book reviews in 30 days. Though, the 30 days turned out to be 50 but with help of many fellow bloggers, I completed my last post yesterday. September also bought me two little awards from my blogger friends. 1. What is the best word to describe you? 2. Tell me your wildest fantasy. 3. What scares you the most? 4. What is the best trick you think you have done to impress your crush but turned the other way? I tried to draw attention by dropping the pen, but the teacher caught thinking I was cheating. It was a mess. 5. One ingredient for happiness. Second award came from Ashish of My umpteen thoughts which was a Creative Blogger Award. 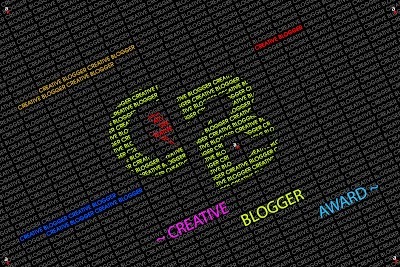 I am frankly humbled to be sharing this, because if I ever have to describe my blog, creative will be the last word out of my vocab. However, I’d love to share these awards with a few blogger friends. Moving on… I am sort of happy that I achieved my target of writing 30 post a month in September and reaching out to a target number of audience. Also, my first ever attempt on poem was appreciated, which made me really happy. Moreover, I resolved to start blogging for cause and encouraging others to do so. I hope I will get to read more posts on the same soon. I am taking a little more pledge and moving on to explore the fiction writer in me. Starting today, I will write a story (how long I still don’t know) as part of UBC. I will need all the support for this story, and I hope you like it. 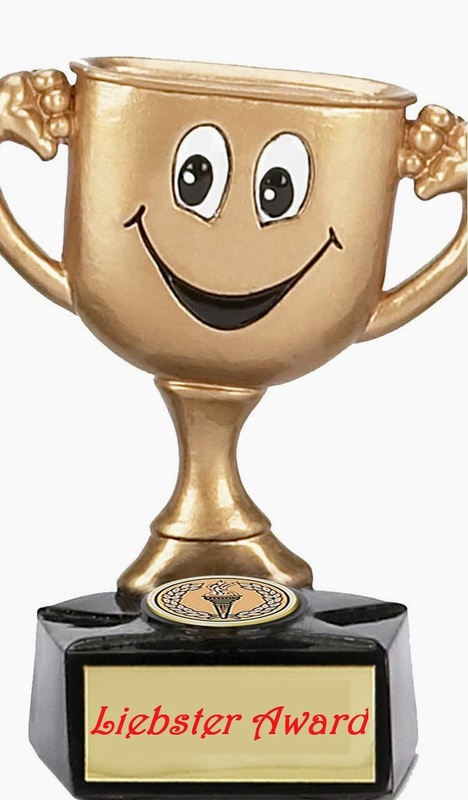 For my friends who share my awards… please take out time to answer my little questionnaire. 1. Describe why you blog in one sentence? 2. One place that you want to visit the most? 3. Which color defines you the best? 4. What is one thing that can cheer you up on a blue day? P.S. This isn't my UBC post. It is just a mark of another begining. More like talking to myself and my friends here. Do come back to read the first post of UBC later today. The 30 days 30 books is back. With nothing big in sight, (no contests, festivals or other blogging and non-blogging priority) I believe that I can finish the remaining 12 days of 30 days 30 books at once. Well, this won’t be done alone of course. There will be a lot of reviews shared by others. Let’s wait and see who all come up with posts for this. But for today, I review one of my favorite books – Eat Pray Love by Elizabeth Gilbert. As soon as we mention the book we think Julia Roberts and various news that flashed around her India tour for the movie. But for me it is much more than that. For starters, I didn’t like the movie. On the other hand I completely agree with Elle which reviewed the book and said that it’s a word of mouth bestseller. A book that became women’s secret of life has something for everyone. Whether you seek food, man or god (depending on your age and interest) there is a chapter just for you. This is an autobiography of Liz Gilbert, post her divorce and her unsuccessful rebound. The book is divided into three parts – Eat Pray and Love, in Rome, India and Bali respectively. My favorite part in the book is in the very beginning – in a particular moment of desperation, Liz writes a petition to God and mentally request and takes signatures from friends and family whom she know will support. I loved the idea. The book may sound like a travelogue, a reflection, a love story, or random rant. However, more than once you relate to emotions of the author. I rated the book as a must read – 4.5 out of 5. What re your views about this bestseller? Now that I have established that my attention span is very small, I guess it also gives me right to establish that my mood to write changes… therefore, I am not writing about one of promised topics but today I am celebrating my favorite blogs. I have a practice. If I like a blog, I follow. And when I really like a blog, I bookmark it. I suddenly realized yesterday that I have full seven blogs on my favorites bar. My original post planned for the day was seven people I love the most. But keeping in mind that today is teacher’s day celebrated in India; I change my post to seven teachers of high importance in my life. Since everyone we meet, knowingly or unknowingly, whether we like or not, teaches us something, my post is categorized into groups who taught me a certain thing. This isn’t a first or second list, it is in the order of when I met them in my life. Or I’ll put it like this…seven things I am trying to change in me. More than once, I blame my nature and behavior to my zodiac sign. I am a Leo and being one I have certain good and bad issues with my personality. There are a few without which my life would be happier. Probably listing them down and getting to read will help. This is a festival of words, festival of seven. Seven is a unique number. Seven is a lucky number. Seven in many cultures is an auspicious number. It took God seven days to create the world. There are seven wonders in the world. There are seven deadly sins. James Bond favorite number is 007. I have lists of favorite seven. 1. Seven things I need to remember for a happy living. 2. Seven people I love/admire. 3. Seven places I want to travel to. 4. Seven things I hate about myself. 5. Seven things that I can’t stand. 6. Seven arguments for and against my country. 7. Seven interesting things about Delhi. They probably won’t be in the same order, but here is the first. I received a package from home. Someone was visiting so my mother decided to pack a few things for me. We sibling often call it as “Maa ka Pyaar package”. The package usually contains some food items, maybe some clothes that she bought for an occasion, some cash as blessings and a letter. I know we are in 21st century and almost every Indian who can afford a decent meal can afford a phone connection. I speak to her each day, but we still prefer to write letters time to time. Each time I get to know that there is a package coming, I can hardly wait. Food items are always a surprise and as always mom knows the likes and dislikes best. So today it was. I received the package through my uncle and I could hardly contain my excitement. I could already smell the oil and tangy mango pickle. Summers have just gone by and she must have made some fresh pickle. I had been desperate. Over three weeks in village and my book finished long ago. The remote villages had the highest rate of illiteracy in the country, thus let alone a book story, there wasn’t a stationary in about 8 km radius. Last week I spoke to my mother for hours. It is surprising that the mobile phone networks have reached where schools couldn’t. Yesterday I rode to the post office to check for my office mails and parcels. There was one from my mother. It contained three hard bound books. I got my food for soul. Love you Mom. She had been working in my house for over a year. A little over 15, her main job was to hang around and take care of my niece. Each time I went home I saw her looking at me with her inquisitive eyes. I often wondered if they had some request. Late one night, I was thirsty and I stepped into kitchen for water. The lights were on already, and there she was, sitting with an open book, reading out loud as she tried to pronounce each English word, slowly rocking as she read, feeding herself on food for soul. The two short posts are written for 100 words on Saturday﻿ by Write Tribe and the prompt was "Food for Soul". P.S. Have you dropped by at my ongoing project 30 days 30 books? My blog is being noticed... Yipee! Did you hear something? No? Not at all? Well…let me tell you what I can hear… I can hear drum rolls. I have earlier talked about how I came back to blogging after a long break and this time I was determined. I made a promise to write and write, even if no one read it. But the problem is I am a Leo. If any of you readers are Leo you know about the problem. We love attention. We are people’s people and cannot mind our own business ever. And importantly though we never admit we need approvals and appraisals. At least I do. Some of my posts in July have revolved around my best friend’s wedding and this friendship day (otherwise I find the concept a bit over-hyped) I get a bit nostalgic over the years spent with the friends who have been with me through most of my life. Today is a no post day. Why? Because today I will pat my own back on completing the Ultimate Blog challenge and take the well-deserved break. I have been waiting for July to get over for a while now. It has been a crazy month. I have travelled for almost 10 days in this month. Have had challenges with phone, battery, laptop and charger (thankfully not all at the same time). I have struggled to find topics, inspirations, ideas, prompts or contests. I have had a constant flow of guests who wanted to keep me away from my laptop and in the last few days I have had a feeling that I’ll soon be thrown out of my job. Today is the second last day of the Ultimate Blog Challenge (Yipeee!!! ), and the most challenging day in the entire month. I have been on road since 5 am and the day is almost about to end. I caught cold and have a pathetic headache since noon. I didn’t have my laptop and my phone constantly had low battery alarm. (Thanks to the maps on smartphone). Therefore, here I am, managing to put a small post just before the deadline. When the slogan “Roti, Kapda aur Makan” i.e. “food, clothing and housing” was coined first, Indian sub-continent was a water abundant country and therefore water was not considered to be necessity that should be fought for. Science explains the requirement of water intake in our body. Suprio Das, in his presentation gives us a figure which explains that each minute a child dies in India due to water borne diseases. Even though 70% of earth is made up of water, researches show that every year the level of safe drinking is depleting at an alarming speed. It is 24th day of the Ultimate Blog Challenge. I took this to improve content on my Blog and subsequently increase the blog traffic. However, writing a blog post each day can be tricky. There have been times I was travelling or really busy. Most importantly there have been times when I have absolutely run out of topics to write about. At such times, these contests, prompts, games , challenges have proven as helpful as God sent angels. There are many in my life who does not understand my love for words. I love to read as much as I love to write. I prefer to write long sentences and paragraphs explaining a situation and love to read pages and pages of a captivating situation. I own a small library and have a collection of biographies, fiction, literature, etc. I have often been asked that why do I love books so much. Many do not understand why I still insist upon spending a share of my income on books each month. More often than not, I avoid answering. I have been writing several posts on what are the monsoon recommendations or wishes or things I like to do, but I have not mentioned one thing that I love the most. The thought of it takes me back to childhood when my raining meant my mother scolding me. Although not much has changed. Now my mother laughs at it or sometime joins me. It is getting drenched in rain. Seldom there is a heavy rain in Delhi. Most of the time it is just a drizzle or a small shower. A heavy rain after hours of cloudy dark sky has its own charm. Clouds like those puts everyone in action. People leave work early, housewives start preparing snacks or takes clothes off the line. Everyone is preparing themselves for hours of rain. But I begin to dream. I change into my comfortable clothes and wait for it to actually rain. And when it does, I step out on my terrace, first hugging myself and then opening my arms and embracing the water force. Small, fierce, cold, needle like drops the hit the skin with force and make it irresistible to rub the skin. Small puddles of water, jumping in them and splashing leads to songs. Water and songs have certain connection. There are bathroom singers, I am a rain singer. To sing a nice song while I jump, hop and dry my face every two minute comes naturally. Drag the person around, mostly my mother or just dreaming about a loved one being along is what comes in the package. In the end, after I have had my heart full (that doesn't happen usually because the rain stops) I like to take my mug of chai and stand in the balcony. Have you ever tried? My suggestion is, if you haven't as an adult, pleas go ahead and revive your childhood. Ps. I would love to hear your experience and thoughts on getting soaked in rain. Life is indeed the biggest teacher. We learn from experiences, mistakes, stupidity and most importantly others. It is said that one of the best kinds of learners are those who can learn from others. However, it is easier said than done. We often tend to ignore the goodness in others or even the misery of others. We are too busy in ourselves to learn from other’s experiences, mistakes or good deeds. In fact, we are too busy to even pause to notice someone if not necessary. Even then, there are certain incidences in life, which remain with us. We can never forget the moment when we first learnt that lesson. These are the lessons we learnt by seeing someone we admired or idolized. I have had few such incidents in my life.